May is my favourite month of the year for fresh produce. That's when all my favourite fruits - cherries, lychees, peaches, apricots and green almonds - come into season at the same time. Which means that every time I make a trip out to the fruit store, I come back with way too much. I love eating these fruits as is, often times instead of meals. But today we are going to do something different and make a salsa out of peaches. It's pretty much like a tomato salsa except it's sweeter, which makes it a great combination for salted nacho chips. Plus, it's a breeze to put together, something I really appreciate in dinner ideas in summer. I discovered the joys of misal pao way too late in life. Maybe I didn't move in the right circles when I first came to Bombay, or I didn't have the right friends but it took me several years to find this little snack food delight that's native to Maharashtra. So what's misal, you ask? It's a curry made with sprouted lentils, which is then topped with fried savoury snacks called farsan and garnished with raw onions and cilantro. Pretty much always served with a dash of lemon juice and a side of soft buns native to Mumbai - the pao. It's a race against time eating your misal once it is assembled because you want to gobble it all down before the crispy farsan melts into the gravy and gets all soggy. A few years back, I went on a Matunga food trail organised by the now shut MumbaiBoss. Among the flurry of dosas and filter coffee we had that day, the standout dish for me was Jackfruit Sheera at Ramashraya. Sheera, for the uninitiated, is a thick porridge like dessert made with semolina. It's one of the easiest Indian desserts to make, and a classic comfort food. At Ramashraya, they excel in making different variations each day. Their most popular variety seems to be pineapple sheera but on the day we visited, they had a jackfruit sheera on offer. Now jackfruit, specially the sweet, ripe, variety used in the sheera, can be quite an acquired taste. I only tasted it for the first time a few years back and it took me a while getting used to its rather overwhelming smell. I enjoy it now and with jackfruit now in season, I decided to try making the sheera at home. A few weeks back, I got a call from JW Marriott in Mumbai Sahar. 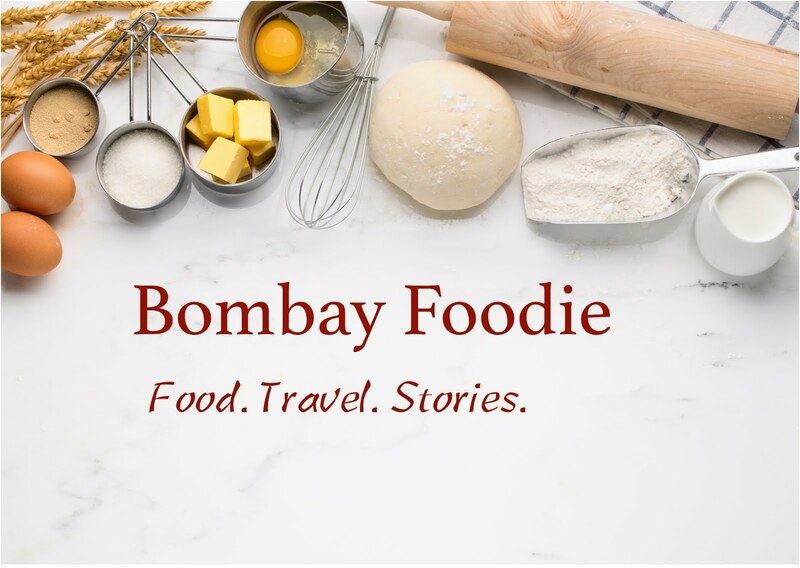 Their chefs were planning to go on an exploratory trip to the Konkan coast to discover the Konkanastha Brahmin cuisine, they said, and they wanted to take a few bloggers along. Was I interested? That is hardly a question, is it! I'd enjoyed my trip to Dapoli a few years back and the Marriott crew was now headed to nearby beach towns of Diveagar and Guhagar. Plus the Konkan Brahmin cuisine, with its completely vegetarian teetotaller bent so close to the coast, has always intrigued me.